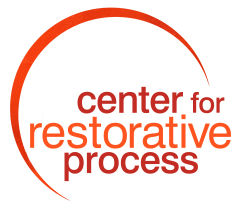 Welcome to our curated collection of our favorite videos about restorative practices and restorative justice. We are grateful to those who produced this curated content and the wisdom they embody in their work. We encourage you to visit their websites and discover the additional resources they offer. Follow our new and ever-growing Resource Library on Pinterest for all things Restorative Practice! Simply click the boards below to view inspiration, ideas, infographics, videos, and training material. From San Francisco Unified School District, this is one of our favorite videos, good for all ages. A great place to begin. How do we know when we've done a good job? Care for kids initiative in Kentucky proves to create a school culture and climate where students thrive. A short and sweet inspiring video, Richard Little, security officer shares how he knows he's done his job well. This short and sweet animation by Brené Brown gets to the heart of empathy with lightness and humor.